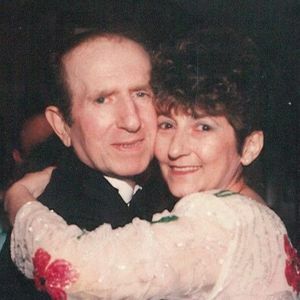 Marlene DiCecco (nee Maccarone), 80, of Avon Lake, OH., formerly of Cincinnati, OH. and Pittsburgh, PA. Marlene was born on October 2, 1938, in Pittsburgh, PA., to her loving parents, Albert and Anetta Maccarone. She married her beloved husband, Alex DiCecco and they made their home and raised their family in Cincinnati, where Marlene was a member of St. Ann's Church. She managed her family home and also helped Alex with the bookkeeping for his carpet cleaning business. She loved her family deeply and was at her best when she was with them, especially her grandchildren; they were her most favorite people. Marlene passed away peacefully at the Ames Family Hospice in Westlake, Ohio, on Friday, February 22, 2019. She was surrounded by her family. Marlene leaves her children, Michael DiCecco (Amy), Tony DiCecco (Shannon) and Sue Ann DiCecco; grandchildren, Cameron (Sara), Andrea, Kyle, Angela, Joshua, Lexie, Tony (Audrey), Alexa, Brandon, Kate, Sam (Breda), Emily and Ben; great-grandchildren, Parker, Sophia Mae, and Ciara; and her brother Samuel Maccarone (Joyce). She was predeceased by her dear husband, Alex, her loving son, Alex (Mary, surviving), and her great-grandson, J.J.
Add your thoughts, prayers or a condolence to Marlene's guestbook.